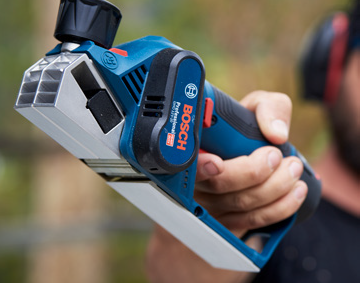 A lot of the time 12V tools are left in the shadows of their bigger-voltage siblings. 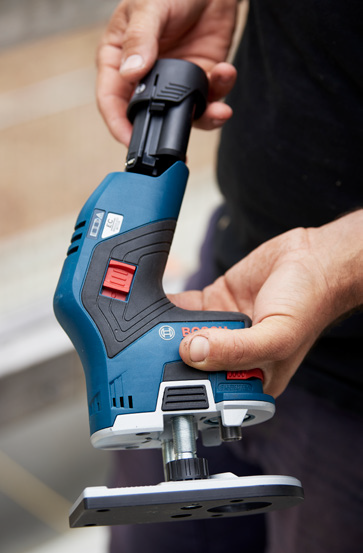 But Bosch has just released the world’s first 12V professional edge router and 12V planer that offer not only low weight and innovative shape, but also a brilliant balancing point, with the tool being optimised for comfort and ergonomic handling. 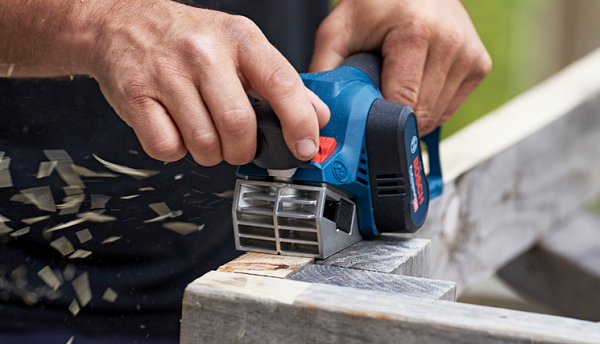 Packing a brushless motor, this 12V cordless system allows for maximum maneuverability, convenience and freedom. Without the battery the router weighs in at a compact 1.1kg and produces a no-load rotation of 13,000rpm. It’s been optimised for edge routing and laminate trimming. The other 12V addition is the GHO 12V- 20, the first professional 12-volt planer, and it brings a new level of tool control. Again the key message with this tool is all about ergonomics, comfort and handling. The GHO 12V-20 weighs in at only 1.5kg without the battery and boasts a no-load rotation of 14,500rpm, with a maximum optimal planing depth of 2mm and maximum width of 56mm. 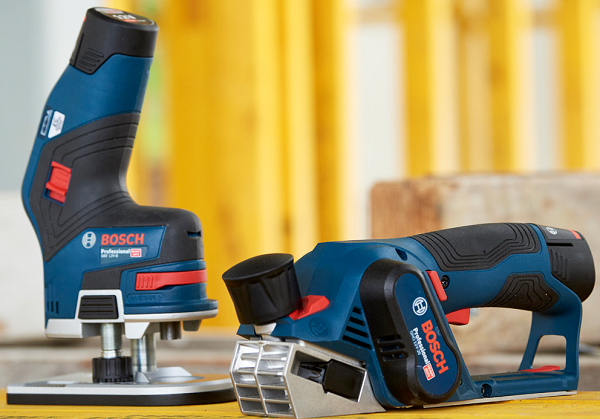 Don’t think for a minute these new offerings from Bosch in the 12V arena are going to lack performance. We grabbed some pine to put these two to the test, and they both more than stood up to the challenge. There was ample power, and both tools were sending slithers of timber flying within seconds. I see this system being perfect for tasks that require ease of use in either tricky positions or fine detail. The power-to-weight ratio and compact size of these tools is very impressive. I can see tradesman and craftsmen who specialise in precise, detailed work embracing this system. Especially when using on laminates and the like. Cabinet makers to window and door installers will see great value and purpose for the system. The ergos are the key benefits of these two. If you have significant planing requirements you’d opt for the larger, 18V equipment. But if precision, detail, comfort and handling is your bag, then this is the system for you. If you’re a craftsmen, model maker, chippy, exhibition builder, joiner, floorer, kitchen installer or boat builder, you should look at adding these two to your kit. The more I think about how easy this gear is to handle, the more areas I can think of for its perfect application. So when first picking up both the planer and the router my initial thoughts were about how well they fit in my hand. After flicking the switch and spending 10-15 minutes initially on each, the balance of the design made for excellent control and allowed for better connection between the tool and user. After a more extended, substantial work session I was pretty much sold on these two tools. The planer has been designed and optimized for one-handed use and felt very stable and secure while in operation. The blade-depth adjuster was pretty smooth and easy to set. Another cool feature on the planer was the variable dust extraction. It allows dust extraction to the side of your choice depending on planning direction and is suitable for a Bosch dust bag. An adapter for a vacuum cleaner is also available as an accessory. The shape and feel of the GKF 12V-8 router seemed a little foreign at first, but even though it does feel different there’s no denying its comfort factor. The safe stand design is unique, with an enlarged contact surface area on the foot plate. The router bit is at the back of the tool and makes for easy guidance and added safety when in use. With a maximum depth of 6mm (depending on router bit), this tool is going to win over many fans. To be honest, I was struggling a little to find anything negative on this pair. For the router, it was more a matter of getting used to the position of the bit and tool formation. With a traditional 18V routerI’m used to looking for an LED, but as the bit is located at the back of the tool and there’s such good visibility anyway, an LED isn’t needed. The GKF 12V-8 hasn’t been designed to cut notches or cut-outs. Its purpose is for edge routing and veneer and laminate trimming only. The planer was pretty much faultless as well. 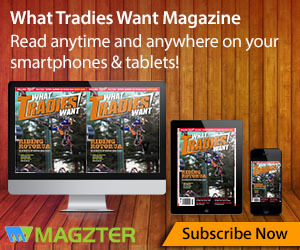 As long as you don’t go trying to jump into planing tasks that really should be attacked with an 18V or powered planer, you’ll be trouble-free. These tools have been designed to be used for more precise, lighter applications, and if they are treated accordingly, they will serve true and steady.